The ad group is investigating allegations of “personal misconduct” against its 73-year-old CEO, which he denies. The leaked probe suggests some directors have misgivings following a share-price slide. The bigger problem, though, is WPP’s structurally-threatened business model. 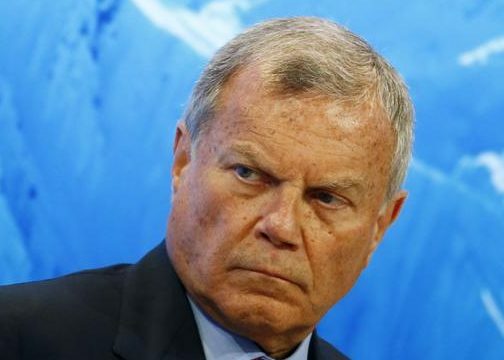 WPP on April 3 said it was investigating an allegation of personal misconduct against Chief Executive Martin Sorrell. Sorrell, who has not stepped down from the day-to-day running of the company, said the allegation concerned financial impropriety and specifically the use of company funds. "I reject the allegation unreservedly but recognise that the company has to investigate it," he said on April 4. “Obviously, I shall play no part in the management of the investigation under way”. Three law firms are investigating the allegation, a person close to the matter told Reuters Breakingviews, including Slaughter and May, and Allen & Overy. Another person familiar with the situation told Reuters Breakingviews that the board has a contingency plan to replace Sorrell if he steps down, and that the investigation should be concluded in “weeks, not months”. WPP shares were down 1.8 percent at 10.97 pounds at 1530 BST.